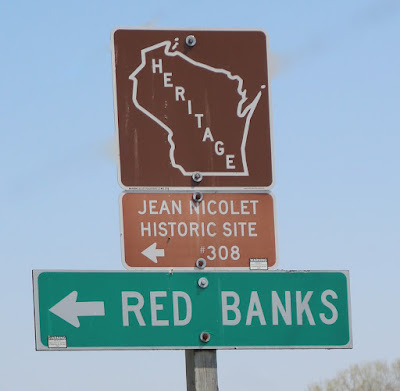 There are two Heritage markers leading to the Jean Nicolet Historic Site. One is on northbound Nicolet Drive / County Highway A, just south of its intersection with Benderville Road. The other is on southbound Nicolet Drive / County Highway A, just north of its intersection with Benderville Road. Both Heritage signs are located in Green Bay, Wisconsin 54311. Click here for an article I wrote for the Brown County Historical Society newsletter regarding the 1909 placement of the historical marker at the Jean Nicolet Historic Site. 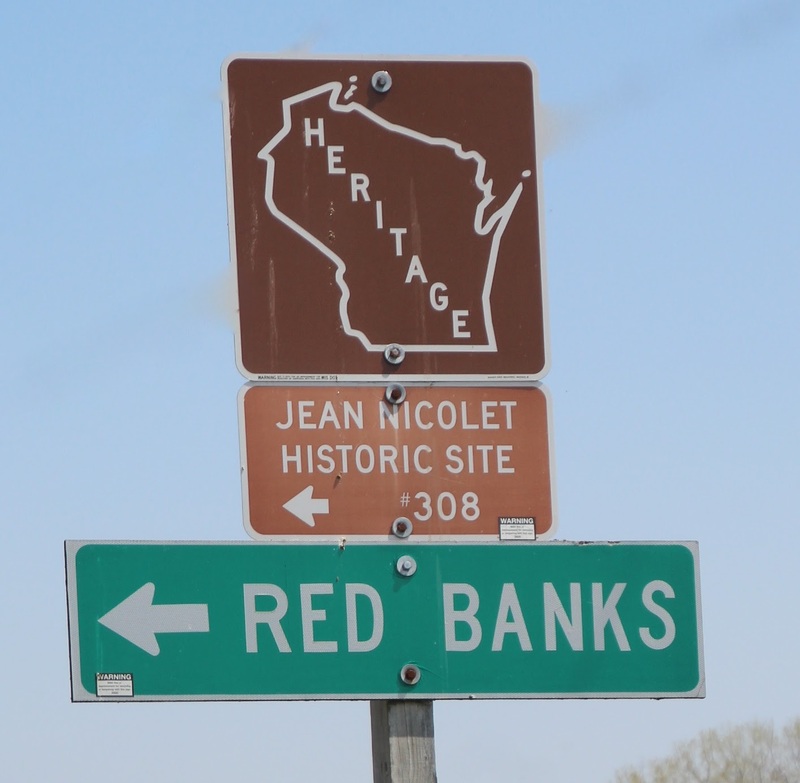 See also, Marker 62: Red Banks, a related marker, at a nearby location. The sign on northbound Nicolet Drive / County Highway A. The sign on southbound Nicolet Drive / County Highway A. The Jean Nicolet Historic Site is located inside a gazebo. View of the Jean Nicolet Historic Site from the parking lot. with the Jean Nicolet Historic Site in the distance, to the left.